Thousands of Zimbabweans gathered Tuesday to bid a final farewell to opposition veteran Morgan Tsvangirai who was one of Africa's most globally admired politicians and lived to see the fall of his political nemesis Robert Mugabe. 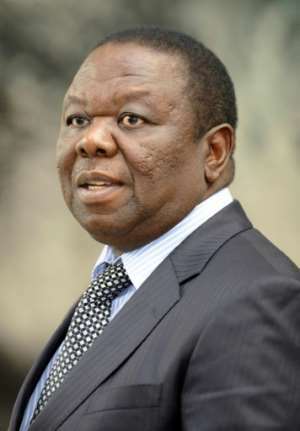 Tsvangirai, the country's fiercest opponent of former president Mugabe's tyrannical 37-year rule, died last Wednesday aged 65 at a hospital in South Africa where he had been undergoing treatment for colon cancer. Thousands of mourners gathered for the burial at Tsvangirai's Buhera rural home, 220 kilometres (135 miles) south of Harare. Many people in the crowd blew whistles and wore red shirts emblazoned with Tsvangirai's portrait, some weeping openly. Tsvangirai's dreams of unseating Mugabe through the ballot box were dashed at several elections. Kenyan opposition leader Raila Odinga, attending the event, condemned political oppression in Africa as he addressed supporters of Tsvangirai whose electoral ambitions, like Odinga's, were thwarted at controversial polls. "Africa is littered with elections which are rigged," Odinga told the crowds. Odinga insists he was the rightful winner of general elections in Kenya in August which extended President Uhuru Kenyatta's rule. "We need to have clear and proper transparent elections in Africa. Rigged elections will not help Africa," Odinga told mourners. "Morgan's election victory was stolen a year after mine was stolen in Kenya," Odinga said, referring to the 2007 elections which Odinga alleges were rigged to ensure Kenyatta's victory. Tsvangirai was a tenacious opponent of the ruling ZANU-PF party's four-decade hold on power. "He agreed to sacrifice his victory in order to save Zimbabwe. He became one of the leading icons of the second liberation of Africa," Odinga said, describing Tsvangirai as "my dear brother" and a "hero". 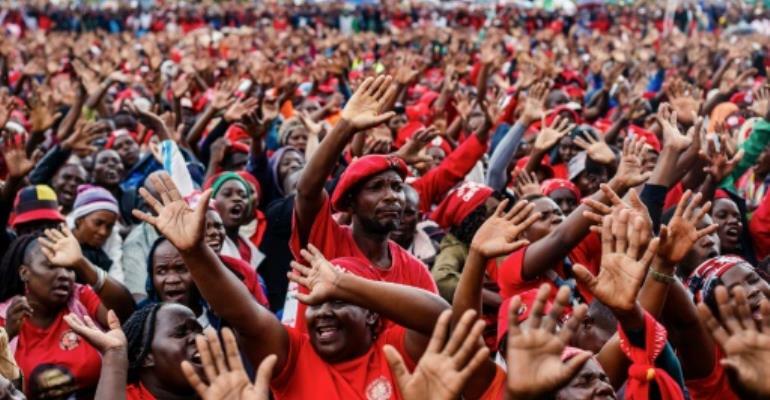 Zimbabwe is due to hold crucial general elections by July and the country's new president Emmerson Mnangagwa has pledged they will be free, fair and credible -- in honour of Tsvangirai. After being repeatedly beaten and jailed by the regime, Tsvangirai became a symbol of resistance to the ruling ZANU-PF's authoritarianism, entrenched since Zimbabwe broke from its colonial master Britain in 1980. "We want to thank Morgan Tsvangirai for fighting for our rights. He was a humble man -- a man who was loved by people," said Christopher Chikwati, a 70-year-old resident of Tsvangirai's village. "We will remember him forever." Former opposition leader Arthur Mutambara, who served as Tsvangirai's deputy in the power-sharing government, said Tsvangirai was Zimbabwe's rightful president. "We are here to mourn the president of Zimbabwe, Morgan Tsvangirai -- a great Zimbabwean, a great African," he said. "He was arrested. He was beaten. The people of ZANU-PF are also here, they are the people who killed Morgan Tsvangirai." Tsvangirai's death has sparked a bitter succession struggle within the main opposition Movement for Democratic Change (MDC) party which is threatening to divide the party to the benefit of ZANU-PF. The party's acting president Nelson Chamisa said Mugabe and his wife Grace had sent a condolence letter to Tsvangirai's family.